The Reading & Writing Center's mission is to facilitate student success through improved studying, reading and writing skills. Our tutors will assist you in all subjects and disciplines with every aspect of the reading and writing processes. Regardless of your ability level, we can help you improve your reading and writing. View the presentation below and read our Philosophy of Tutoring for more information on our tutors' qualifications and training. Want the experience of a tutoring appointment from the comfort of your home? Check out our new service: Face-to-Face (F2F) Online Tutoring. First Time to the Center? Bring Your ID Card! Individual appointments are ideal for all students seeking to improve their reading and composition skill sets. During a typical appointment, you and your tutor set an agenda. The agenda can be brainstorming for a paper topic, working on a thesis, re-organizing the body of an essay, revising based on an instructor's feedback, working on grammar, or any other aspect of the writing process. After agreeing on an agenda, you and the tutor will read the paper together. You will then work on the agenda, discussing and brainstorming possible improvements to your writing. In some cases, tutors may ask you to practice some skills. Tutorials are always interactive and collaborative. Students are eligible for 1 appointment per week by organizer and can be reserved for 2 to 3 students. Same-day tutoring sessions are ideal for all students seeking to focus on one specific topic. During a typical same-day service session, you and your tutor will identify a topic. To help you locate a topic, the tutor will provide you with a list of common aspects of reading, writing and composing assignments. After agreeing on an agenda, you and the tutor will discuss and brainstorm possible strategies to support improvements in the chosen area. Often, tutors will recommend a specific action to apply to your task. Tutorials are always interactive and collaborative. Same-Day Service Group - Appointments are ideal for groups of students who are desiring help on a class assignment or specific topic. During a typical appointment, the group and the tutor set the agenda. To help you locate a topic, the tutor will provide you with a list of common aspects of reading, writing and composing assignments. After agreeing on an agenda, the group and the tutor will discuss and brainstorm possible strategies to support improvements in the chosen area. Often, tutors will recommend a specific action to apply to the task. Tutorials are always interactive and collaborative. Online tutoring offers written feedback on specific topics and observations of submitted texts. The RWC aims to respond to online submissions within 4 weekdays. During high volume times, RWC response times will lengthen. Please always check the website for operational updates. Also, if you do not receive a response within 4 weekdays, please email anwritingcenter@gmail.com or call 703.323.3341 to ask about the status of your paper. Each student is eligible for multiple online tutoring sessions per week; however, the same essay may only be resubmitted once. After an essay is resubmitted and receives additional feedback, it is ineligible for further email tutoring sessions. We recommend scheduling a one-on-one tutoring session or dropping by during our same-day service hours for continued support on the assignment. To use email tutoring, download this form (PDF) and follow the directions. Submissions without the completed form will not be reviewed. Face-to-Face (F2F) Online Tutoring sessions aim to reproduce the in-person experience of a tutoring session. This service was developed to accommodate evening students, caregivers, or working professionals - students who cannot utilize RWC services during regular business hours. F2F Online Tutoring sessions take place digitally and remotely, utilizing Google Hangouts. Sessions last a full hour with at least 45 minutes devoted to support and 15 minutes reserved for technical support if needed. Session start time to be determined by tutor and tutee. Students are eligible for 1 F2F Online Tutoring session per week based on tutor availability. When requesting a F2F Online Tutoring session, remember to attach a copy of your writing task and the completed request form to your email. The RWC aims to respond to F2F online tutoring appointment requests within 1 weekday. Appointments are limited so email anwritingcenter@gmail.com or call 703.323.3341 with any questions, and please always check the website for operational updates. Click here to access F2F Online Tutoring Availability, the F2F request form, directions for reserving your appointment, and service resources. Upon receiving one “no-show,” students may not reserve appointment-based services at any NVCC Academic Support Center. Students are still welcome to utilize any services that do not require appointments (e.g. Walk-in tutoring, Workshops, Conversation Café, or Software Usage). 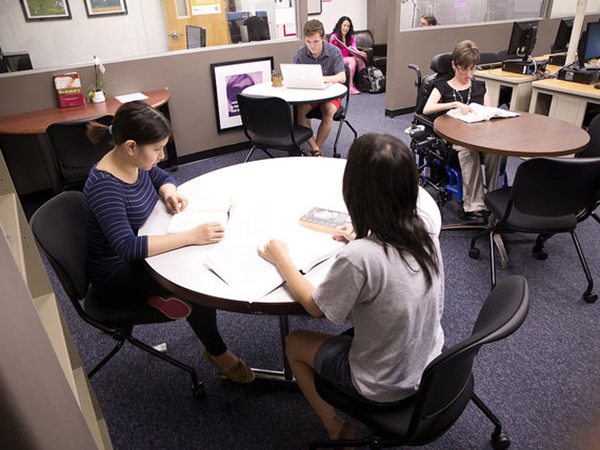 The Reading & Writing Center workshops offer content instruction and interactive group discussion of specific writing issues, followed by individualized, one-on-one assistance. Participants learn, work on their writing and receive help along the way. Faculty and students interested in requesting a workshop should email the Center Supervisor, Emily Miller, at exmiller@nvcc.edu. We will work quickly to create a workshop customized to your needs and schedule. The RWC often hosts and visits classrooms for orientations. These orientations are approximately 30 minutes in length. If you are interested in another service or combining an orientation with another activity, the RWC will also staff special events. In order to reserve a tutor for a special event, it is necessary that the Center Supervisor receives clear details regarding dates, times and locations; clear details regarding the requested services (an orientation, workshop, or pop-up tutoring); the activity description; tutor expectations; and an explicit guarantee that an instructor will be present. Tutors cannot serve as instructors in an instructor’s absence. Tutors are not credentialed to teach undergraduate courses, and such requests are also unfair for the tutor will not be paid the going rate for substituting. Therefore, the submitted activity description must also explicitly state that there will be an instructor present to ultimately lead the class. The Reading & Writing Center offers personalized assistance and/or presentations to meet your curricular or event needs. Faculty and students interested in requesting event support should email the Center Supervisor, Emily Miller, at exmiller@nvcc.edu. We will work quickly to support your needs and schedule. Would you like students to be met with RWC personnel outside of the center? Consider scheduling a RWC pop-up tutoring session. Our staff will set up a station in an agreed-upon location and serve your students as they pass by. This time can be used for either Q&A or for reserving appointments. Faculty and students interested in requesting pop-up tutoring should email the Center Supervisor, Emily Miller, at exmiller@nvcc.edu. Tutoring is most effective when it is an individualized, collaborative interaction among peers. Voluntary tutoring is ideal, but our tutors also foster positive experiences for students seeking tutoring for extra-credit or as a requirement. 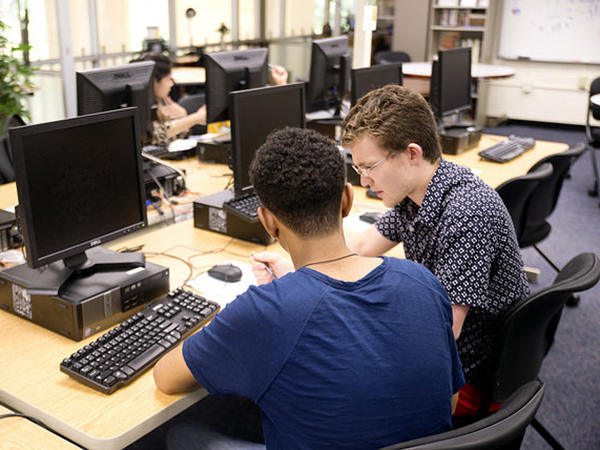 If you wish to require students to receive tutoring, please contact the Reading & Writing Center director to schedule an orientation or class visit so that your students can receive an introduction to the Reading & Writing Center and its services. Tutoring sessions have better outcomes when students know what to expect. When helping students with writing assignments, the tutors do not write, revise, edit or proofread for students. Rather, they help the students with developing writing, revising, editing and proofreading strategies. Tutors are trained to use both non-directive and directive pedagogies as necessary, depending on each student's unique needs. Non-directive strategies include acting as a "sounding-board" for ideas, providing encouragement and asking clarifying, open and leading questions. Directive strategies consist of providing explicit feedback, explaining unfamiliar expectations or conventions, and modeling examples of revision, editing, and proofreading strategies. What is the Reading & Writing Center? Our mission at the Reading & Writing Center is to enable student success through improved reading and writing skills. In other words, we will help you become better academic readers, writers and thinkers, thereby giving you tools you need for academic success. Our trained peer tutors provide one-on-one assistance to writers of all ability levels in all courses and disciplines. We also offer group workshops that combine interactive group tutoring and individualized attention. Where is the Reading & Writing Center located? We are located in Godwin (CG) 409, directly above the library. Who can use the Reading & Writing Center? 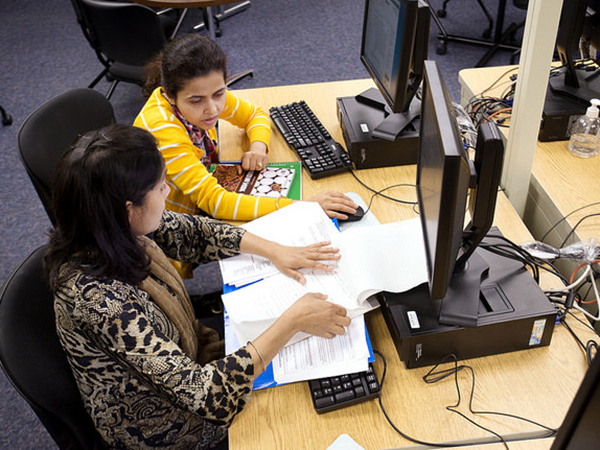 Students enrolled in classes at the Annandale Campus or through the Extended Learning Institute (ELI). Who works at the Reading & Writing Center? The Reading & Writing Center is supervised by Emily Miller (M.A.). 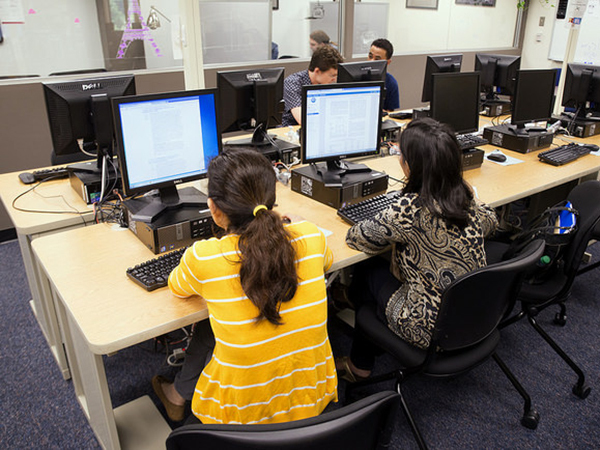 Trained peer tutors from George Mason University and NOVA provide one-on-one tutoring, online tutoring and group workshops. Do I have to pay to use the Reading & Writing Center? No; all of the Reading & Writing Center’s services are free to enrolled students. 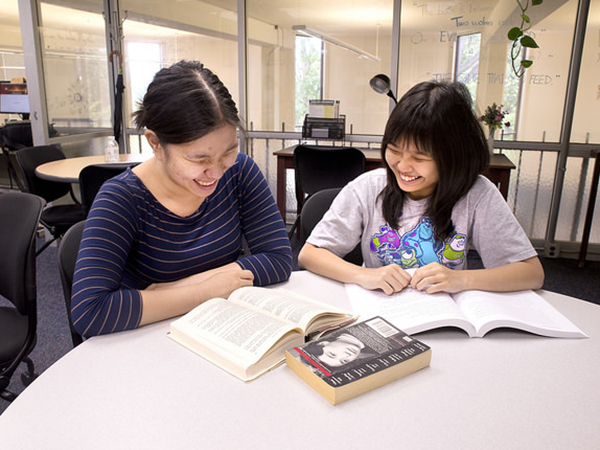 Tutoring is one-on-one, individualized assistance. It is interactive and collaborative. The more you participate, the more you will benefit. First, you and your tutor set an agenda for what you want to work on during your session. The agenda can be brainstorming for a paper topic, working on a thesis, re-organizing the body of an essay, revising based on an instructor’s feedback, working on grammar, or any other aspect of the writing process. After agreeing on an agenda, you and the tutor will read the paper together. You will then work on the agenda, discussing and brainstorming possible improvements to your writing. In some cases, tutors may ask you to practice some skills. Tutorials are always interactive and collaborative. What should I bring to the tutorial? Your assignment sheet is essential. Your syllabus, class notes and textbook can also be helpful. 1) Drop by CG-409 to speak with someone working at the Reading & Writing Center. 2) Call 703.323.3341 and speak with someone working at the Center or leave a voicemail. 3) Email us at anwritingcenter@gmail.com and request an appointment for a specific time/day. Someone will contact you to confirm your appointment. What happens if I can't make my appointment? Students who have an appointment with a tutor may cancel the appointment with 2 hours notice. Students who fail to come to scheduled appointments and do not cancel at least 2 hours in advance CANNOT make another appointment for the remainder of the semester. Students will still be able to utilize other resources at the Reading & Writing Center (workshops, software programs, books, handouts, etc. ), and will be able to take advantage of workshops, walk-in tutoring and online tutoring services. Must I have an appointment for tutoring? No, you may get tutoring at the Reading & Writing Center as a "walk-in", depending on tutor availability. If you have an appointment, then we can guarantee an available tutor. 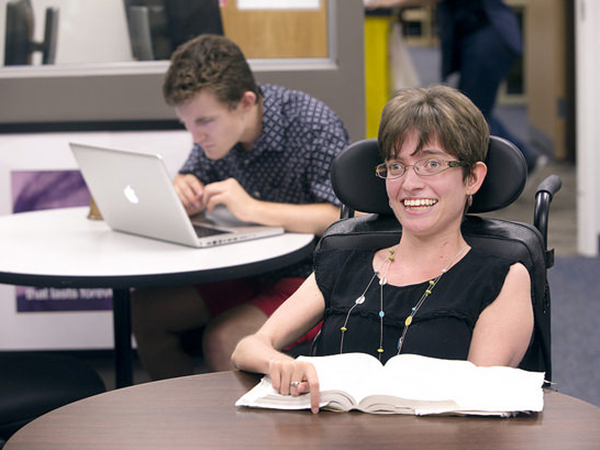 A workshop combines group tutoring with individual attention. Workshop leaders conduct an interactive discussion of a writing-related topic. After the discussion, you are invited to work on your writing. The workshop leaders will assist you with any questions you may have. The workshops leaders are experienced writing tutors who are specially trained to lead and facilitate group workshops. The workshop schedule can be found on the Workshops tab of this page. Must I have an appointment for a workshop? No, you do not need an appointment to attend a workshop. Simply drop in when we are hosting one. All workshops are located in CG-413B. What is the self-guided software? Self-guided software is a study resource for NOVA students. The software focuses on reading, grammar and writing skills. All NOVA students enrolled in classes at the Annandale Campus or the Extended Learning Institute (ELI). Must I have an appointment to use software? No, you do not need an appointment to use the self-guided software. What do I need to use the software? You need a valid NVSTU domain username and password. If you do not have this information, you can obtain it through the IT Help Desk 703.323.4141. Some software may require you to create a username and password, or you may have a username and password assigned by your instructor. In either case, the Writing Center Supervisor can assist you. The tutors are current NOVA students, part-time employees studying at nearby universities or working locally, and community volunteers. All tutors must have a record of academic success, including excellent grades in writing courses. They must also demonstrate advanced understanding of the writing process and superior communication skills. Virtually all applicants come highly recommended by English faculty, yet the interview-and-hiring process is highly selective. Less than half of applicants are offered positions. After being hired, tutors undergo a rigorous training program: attending presentations, textbook reading, small group discussion and observations of experienced tutors. 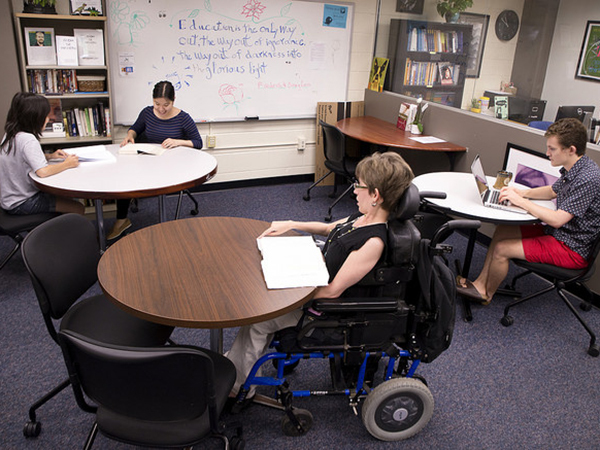 Their training covers non-directive and directive pedagogy, distinguishing between higher-order and lower-order concerns and the unique needs of NOVA's student populations. They receive instruction for responding to all levels of student writing, from developmental to honors. Once they begin tutoring, they are regularly evaluated and trained through observations, reflective discussions and special training sessions. 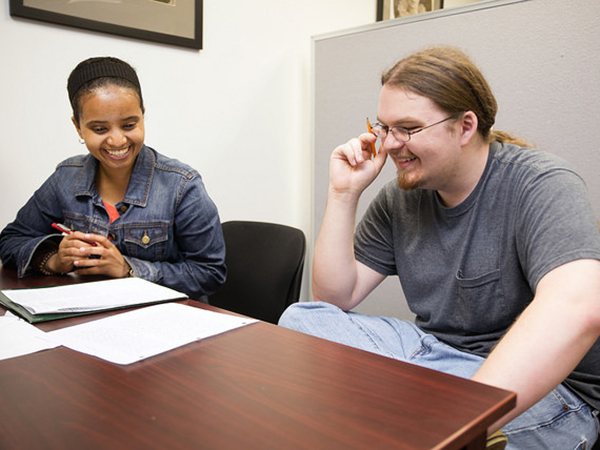 Writing Center tutors also attend professional conferences such as the International Writing Center Association Conference (IWCA) and the Mid-Atlantic Writing Center Association Conference (MAWCA). Do you want to refer your student to the Reading & Writing Center for help with their assignments? Click on the link below to download a student referral slip. If you have any questions not answered on this website, please do not hesitate to contact Emily Miller, the Reading & Writing Center Director, at 703.323.3341 or exmiller@nvcc.edu.